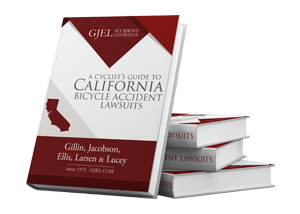 GJEL is a Northern California bicycle accident and serious injury law firm that specializes in helping victims who have seriously been injured in bike accidents across the state. If you or a loved one have been injured in a bike accident don’t hesitate to reach out to our award-winning personal injury lawyers for a free no obligation case evaluation. Our attorneys are standing by ready to answer any questions you may have after your accident. Most cyclists are aware of the dangers of bike travel and take precautions to prevent accidents. Still, nobody really expects to be involved in a serious bicycle accident. An experienced California bicycle accident lawyer can help you navigate the road to recovery after an accident. An attorney can help negotiate a claim with the driver’s insurance company on your behalf. He or she can also evaluate your case to determine whether legal action may be necessary. Having a lawyer handle your case offers you the best chance of getting the money you deserve after an accident. Reputable personal injury attorneys will offer you a free, confidential consultation to discuss your accident and the various legal options you have. After a bicycle accident, you should work with an experienced attorney with a proven record of obtaining successful outcomes for their clients. You should never hesitate to ask a personal injury attorney for recommendations or references from past clients. Cyclists face unique dangers on California’s busy roadways. Drivers of passenger vehicles, commercial trucks, and buses often fail to see cyclists when they are riding in a designated bike lane or sharing a traffic lane. In fact, in Alameda County alone there were over 638 collisions involving bicycle accidents in 2016. While motor vehicle occupants are well protected by seat belts, airbags, and thousands of pounds of metal, cyclists typically rely on little more than a helmet to protect themselves in the event of an accident. It’s no surprise that bicycle-related injuries lead to nearly 500,000 emergency room visits per year and hundreds of fatal accidents. More than 120 cyclists died in California in 2014 alone. What are the Laws on Bicycles in Northern California? Section 21200 of the California Vehicle Code provides that bicyclists have the same rights and responsibilities as drivers of motor vehicles. This means that anyone riding a bicycle is subject to laws on driving under the influence, giving pedestrians the right-of-way, and traffic signals just as if they were driving a car. There are a few special rules that apply to motorists’ interactions cyclists on the road. Since 2014, California has required that all drivers give cyclists at least three feet of space when driving alongside or passing them. In addition, no one may obstruct a designated bicycle path by stopping in the path or parking a car or bicycle in it. Bicyclists should also be familiar with a few other “rules of the road.” California law requires that all cyclists ride with the flow of vehicle traffic unless passing, making a legal left turn, riding on a one-way street, riding on a road that is too narrow, or when the right side of the road is closed due to road construction. Also, on any California road with a designated bike lane, cyclists traveling slower than the flow of vehicle traffic must use the bike lane unless they are making a left turn, passing, avoiding hazards, or approaching a place where a right turn is authorized. If you were seriously injured in a bicycle accident, you probably want to know who is legally responsible (or “liable”) for your injuries. Sometimes, drivers in California are cited with only a minor infraction after a bicycle accident. In more serious bicycle accidents, drivers can be charged with a misdemeanor or felony offense such as reckless driving, failure to properly stop at a stop sign or crosswalk, hit and run, or driving under the influence of alcohol or drugs. Although it serves the interest of justice for drivers who injure cyclists to face criminal charges as a result of their conduct, criminal charges do little to help cyclists who are left with medical bills or cannot work after an accident. This is where civil courts come into play. If you were hurt after a bicycle accident as a result of a driver’s carelessness, California law allows you to sue the driver in court to recover money damages for your injuries. This type of lawsuit is frequently referred to as a “personal injury” lawsuit. Most personal injury lawsuits include a legal claim for negligence. Negligence is defined as the failure by someone to act with the level of care that a reasonable person would have exercised under the same or similar circumstances. If you can establish that a driver’s negligence caused your injuries and other losses, such as time away from work, you can secure a court order that requires the driver to pay you an appropriate amount of money to compensate you for the financial and personal harms you have suffered. If the driver who hurt you in a bicycle accident was issued a traffic ticket or charged with a criminal offense in connection with the accident, this can be critical evidence of negligence. Under a legal theory called “negligence per se,” you do not need to prove that the driver should have acted differently under the circumstances. California courts view a violation of any law meant to protect public safety, including the majority of traffic laws, as automatically negligent. This makes it much easier for injured people to establish legal fault for their injuries. How Can California Cyclists Prevent Bicycle Accidents? With extensive experience representing injured cyclists in personal injury cases, the attorneys at GJEL understand how devastating a bicycle accident can be. If you are a cyclist in the Bay Area, we strongly encourage you to take the following steps to prevent accidents. Wear a helmet. All children under the age of 18 in California must wear a helmet when riding a bicycle. While helmets are not required by law for adults in most California cities, they can prevent serious injury or death in the event of an accident. Equip your bike. Cyclists should equip their bikes with mirrors to assist with safe lane changes. Cyclists who ride at dusk or at night should install front and rear lights on their bikes. Blinking lights are inexpensive and can be added to wheel spokes the frame to make cyclists more visible to drivers at night. Wear bright gear. Cyclists should always wear brightly colored or fluorescent gear to make themselves more visible to drivers. Cyclists who ride at night should add reflective tape to their helmet or wear a reflective arm or ankle bands. Know the rules of the road. Cyclists should familiarize themselves with the laws that apply to bicyclists in the areas where they ride. The California cycling laws discussed above are uniform in all California cities and counties. However, individual cities are free to determine whether or not cyclists are allowed to ride on the sidewalk. Signal when turning or braking. Cyclists should always use proper hand signals to indicate when they will make a right turn, make a left turn (or overtake a lane of traffic), or brake. Always stay alert. Cyclists should never wear earphones or talk on a cell phone while riding. In fact, California law specifically prohibits wearing earphones that cover both ears. Cyclists should stay alert and aware of their surroundings at all times and pay attention to any vehicles (parked or in motion) and pedestrians around them in all directions. A woman was hit while training for a triathlon on her bicycle in Martinez when she was cut off by a vehicle making a turn across her lane of travel. She and her bicycle collided with the car and then collapsed onto the pavement. She suffered a compression fracture in her lumbar vertebra, as well as elbow, wrist, and knee injuries. Due to these injuries, she was severely limited in continuing to work effectively in her position as a physical therapist. She suffered significant wage loss during her healing period. Additionally, her back pain became extremely uncomfortable during her subsequent pregnancy. GJEL helped the woman receive a $250,000 settlement to compensate for her wage losses as well as continuing medical bills resulting from the bike accident. Here you will find a series articles that will teach you what to in the event of a California Bicycle Accident. A bicycle accident can be a frustrating and painful experience, especially if it was caused by a negligent driver. If you’ve been hit by a vehicle while on your bike, please contact us now. Is the driver always at fault in a bicycle accident? When a large vehicle collides with a bicyclist and causes injuries, it is often assumed that the bicyclist is the victim and the driver is the one at fault. However, this is not always the case and, in some instances, the bicyclist may be the one who was negligent and caused the accident. For this reason, careful investigation should be conducted and evidence should be gathered to support your claims that the driver was at fault in the accident. Does car insurance cover a bicycle accident? If you determine the driver was at fault in the accident, you may wonder how you should go about seeking compensation from the driver. The good news is that bicyclists can make third party claims with the driver’s insurance company, just as other drivers can file claims after accidents between two cars. Bicycle accident insurance claims can be complicated, however, so you should always discuss your situation with an experienced attorney before filing a claim. What are my options for financial recovery after a bicycle accident? As mentioned above, one way to seek financial recovery for your medical bills, lost wages, and other bicycle accident-related losses is to file a claim with the at-fault driver’s insurance company. However, an insurance company will not always be willing to offer enough to cover all of your various losses and you may need to seek compensation another way. You can do so by filing a claim for personal injury in court. California law only gives you two years to prepare and file a claim, however, and if you miss that deadline, you lose your right to recovery. Is my bicycle accident case a civil or criminal case? When many people think of cases in court, they think of criminal cases. However, criminal cases are brought by a prosecutor for unlawful behavior and do not include personal injury claims. Instead, your bicycle accident claim will be filed as a separate case in civil court. If there is a coinciding criminal case for a violation of law–such as a DUI–evidence in the criminal case may be helpful in your civil case, as well. The amount of physical and/or emotional suffering you experienced as a result of your injuries. An experienced attorney can review the circumstances of your individual case to determine what your claim may be worth. 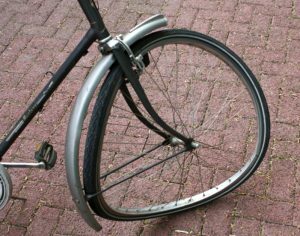 Will my bicycle accident case go to trial? Just because you filed a claim in court does not mean you will go to trial. In fact, the majority of accident cases are settled through negotiations that happen before trial and out of court. An experienced attorney should seek out the most efficient way to resolve your case in the most favorable way possible. As dockless bike share startups expand across the Bay Area, a new mode of shared mobility has emerged: electric scooters. I Was Hit by a Car While Riding my Bike…Now What? How is Fault Determined in Bicycle vs. Car Accidents?